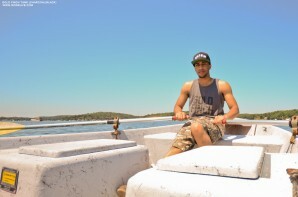 One of the Jersey's best kept indie labels Worxlife is back with a fantastic new video for the people, and some info on their Summer 2012 look dropping July 15th, 2012. Their newest drop with be titled E.U.A.E. (Every Un-holy Angels Empire) and was birthed from the path we all make to reach our paradise, where you must shift and move mountains to create your course by your means and no one elses. What happens when society tries to force a view on you but when you do, nothing good comes from it and creates less vision? Do you go towards the easier perception of conforming or do you tread water and stay above just enough to see the light? Light please. The collection will have two tank tops labeled "Gold Finch" in two color ways Grey with Black print and Red with white and blue print and on the side will have "JERUZALEM" printed. 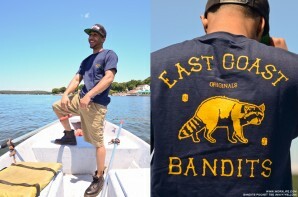 A pocket tee in two color ways navy with yellow print and heather grey with maroon print with "WLCO EST 2009" on the pocket, also "East Coast Bandits" printed with a raccoon on the back. A black snapback with a green under brim with a design of "Jeruzalem" across the top in Old English font with "E.U.A.E" on the bottom. Check the newly posted cookbook below and get your gear HERE. "Today's society tells us to be good people who uphold traditional values and morals. A lot of those values and morals tend to be one sided and are forced upon our upbringings. When reality gives you a haymaker to the face, is our only option to forgive and forget? We're at war with not only ourselves, but the rest of the United States. We have to make it out of this hole somehow, even if it means to go against the norm and single minded perceptions. Every Un-holy Angel's Empire represents the idea of a fallen angel. We are all the same in God's eyes, except it's the way we choose to live our lives, We represent the struggle and the animosity in modern America. It doesn't matter who you praise because we're out here working for what we want to achieve regardless of the social normality. Praying to God will only go so far. Without the chaos, the balance becomes lop-sided throwing off the natural balance of life. Every Un-holy Angel's Empire is a beautiful struggle. By any means necessary, we're out to reach our hopes and dreams. The "promise land" is within reach, but the journey isn't a pretty one."